We’d love your help. 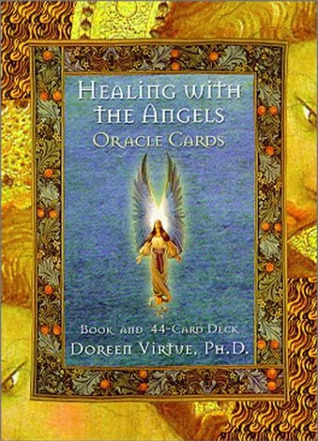 Let us know what’s wrong with this preview of Healing With The Angels Oracle Cards by Doreen Virtue. Die heilsamen Botschaften der Engel enthalten hilfreiche Anregungen, Antworten und Affirmationen, die in allen Bereichen des menschlichen Lebens den Weg zu Liebe und Heilung weisen. Mit genauer Anleitung zur Anwendung und Interpretation der Karten. To ask other readers questions about Healing With The Angels Oracle Cards, please sign up. This was my first angel oracle card deck and I still love it! It is a 'gentle' deck that doesn't have any 'scary' cards such as the typical tarot deck. The pictures are beautiful, my clients love readings from this deck! This is probably my favorite card deck that I own. This is always the first deck I pick up when someone has a question as it shows what area in their lives that needs healing. The original. One of my favorite gifts to give. There are no bad cards like in the Tarot. This deck is full of positive, profound messages. Lovely Angel Oracle cards with messages and a small book with deeper meanings.